Engine of Eradication has an effect that spawns 4 orbs around your character that you can pick up to extend the buff. The simulation above assumes that you flawlessly pick up these orbs every time, which may not be realistic in a raiding encounter where you have to move a lot. Therefore, take the results with a grain of salt and consider the fight you are doing when playing with this trinket — maybe something else is better because it does not rely on picking up these orbs. Terror From Below does damage to all enemy targets around the main target, as well as yourself. So you do not want to be in melee when this trinket procs for any reason. Soul of the Huntmaster is a Legendary ring that gives you the Lock and Load talent without having to choose it, meaning the value of its effects is the same as the value of this talent, which is very high. It is the best single-target DPS legendary, as it allows you to pick True Aim and have both of those talents at the same time. In situations where you can not benefit as much from the synergy of True Aim and Lock and Load (usually by having to switch targets too often for True Aim to really work), it is not as desirable as it looks on paper/in simulations. Celerity of the Windrunners is a Legendary cloak that causes Windburst to give 15% increased Haste for 6 seconds. It is a decent, but not spectacular legendary for most situations. Magnetized Blasting Cap Launcher are a pair of Legendary bracers that increase the damage done by Bursting Shot by 800%, and increases its range by 30 yards. This elevates Bursting Shot to being used in your rotation at all times when Vulnerable is not active, instead of only being used as a crowd control ability. 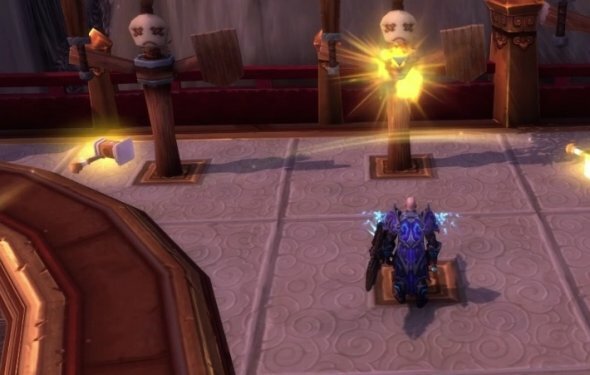 It is especially powerful for Mythic+ dungeons, but its usefulness in raids is limited unless you can combine its AoE damage with its crowd control capability in a meaningful way. It makes Bursting Shot very susceptible to ninjapulling in dungeons. War Belt of the Sentinel Army causes each enemy hit by Multi-Shot and Sidewinders to increase the damage done by the next Aimed Shot by 10%, stacking up to 20 times. This has no DPS effect on single-target unless you are using Sidewinders which is no longer recommended, but it is very powerful in AoE scenarios where you can stack the buff up and then fire an extremely high-damage Aimed Shot consistently. For many fights in the Tomb of Sargeras, it has very high potential whenever there are multiple targets. It does not change your rotation very much, you should of course try and build as many stacks as possible before using Aimed Shot if you are using it (on multiple targets), but you should not cap Focus to achieve this goal, as you would be losing more Aimed Shots than you gain in damage. MKII Gyroscopic Stabilizer is a pair of Legendary gloves for Marksmanship. It causes every second Aimed Shot to have a 15% increased crit chance, and also be castable while moving. This is an incredibly powerful single-target legendary, even when not considering the massive mobility increase. It is one of the best single-target legendaries available to the spec. Ullr's Feather Snowshoes are Legendary boots that reduce the cooldown of Trueshot by 0.8 second each time you cast a damaging ability (except everything but Arcane Shot, Multi-Shot, Marked Shot and Aimed Shot). On average, these boots will reduce the cooldown of Trueshot by ~45-55 seconds. This makes them the best all-rounder legendary as a general statement, and the most desirable legendary for Marksmanship due to its versatility. Zevrim's Hunger is a Legendary ring that gives Marked Shot a 15% chance to not consume Hunter's Mark, allowing you to cast them back-to-back. This is a pretty weak single-target legendary, but quite a strong AoE one since Marked Shot constitutes a lot of our AoE damage. It does not change your rotation in any meaningful way, and you should simply spam the extra Marked Shots that it gives you back-to-back. No streaking professional window washing.